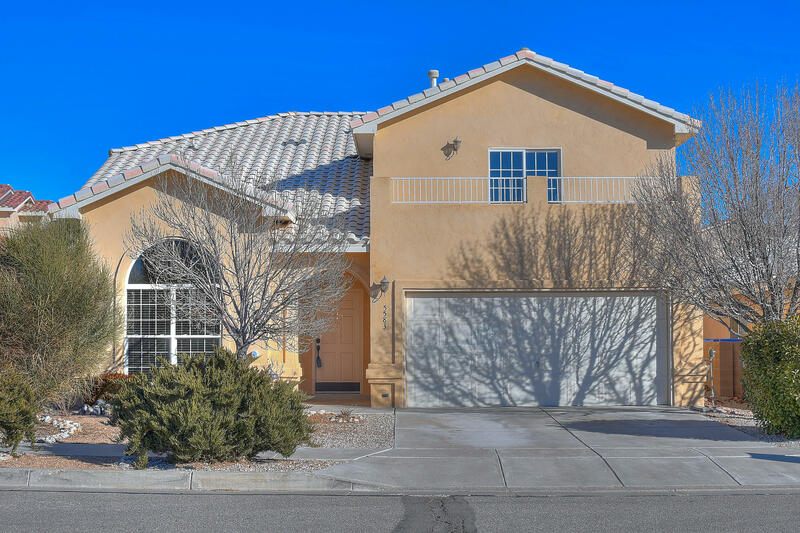 Large spacious home located in nw albuquerque, near everyday conveniences off of paseo del norte and golf course. Upstairs master bedroom is complete with en suite and large walk in closet. Master bath features double sinks & jetted tub. 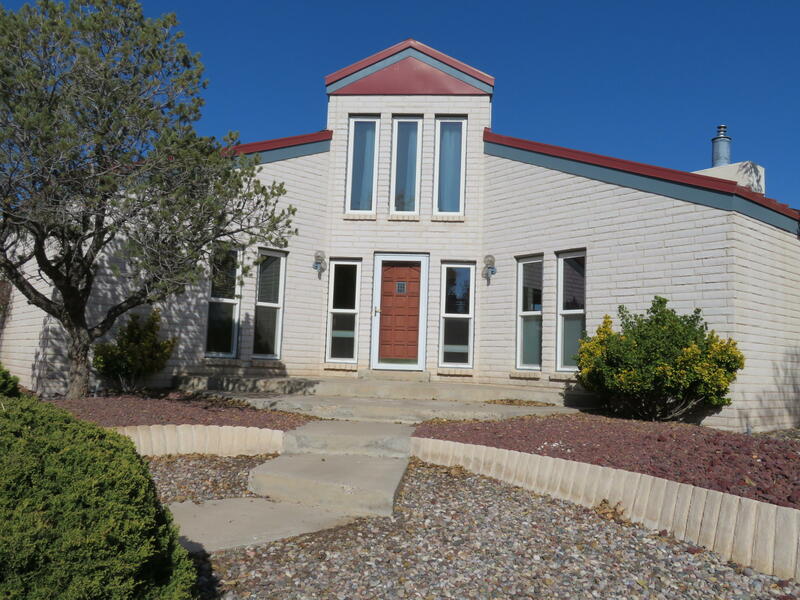 There are two additional bedrooms upstairs plus a large loft for additional living spaces. 2 bedrooms downstairs. Huge, open kitchen w/ island, breakfast nook, large pantry, & ample counter and cabinet space. Family room is adorned with brick fireplace with open floor concept to kitchen. Backyard opens up to lovely yard & patio. The private yard showcases a beautiful pool. The covered patio & backyard are great for dining & entertaining. Formal living room/dining room off of the front entry. Custom accents including crown molding. The house backup to open land. 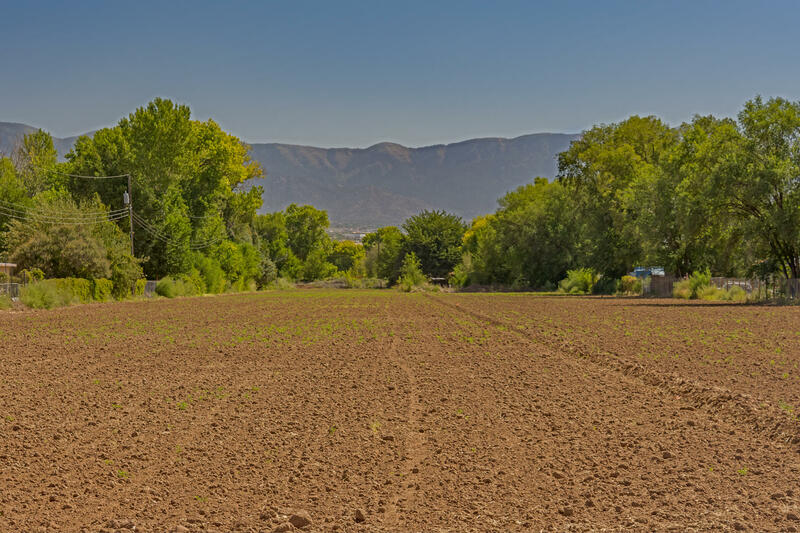 Views, views off the big deck of the mountains and golf course on a huge lot with walking trails. Located on a peaceful cul-de-sac close to shopping and interstate the master bath and closet is completely redone it's stunning. There are so many updates new furnace and refrigerated air. Tank less water heater with new window 22 milgard vinyl double pane windows, new roof and stucco and more. There is a lot of hard work put into the very unique home. One of a kind home! !ask for a showing!!!! Welcome to this one-of-a-kind home that you've been waiting for. Step through the front doors to the grand staircase surrounded by the lush atrium. 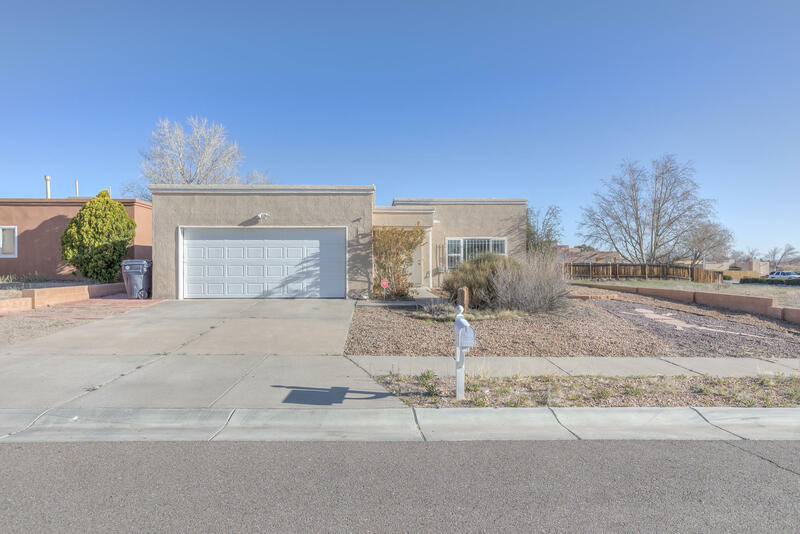 This home boasts all of the space you'll need with two bedrooms upstairs (including the master suite), and two bedrooms downstairs-one of which has its own private entrance and bathroom. The kitchen has been updated with beautiful granite counter tops & a commercial fridge. 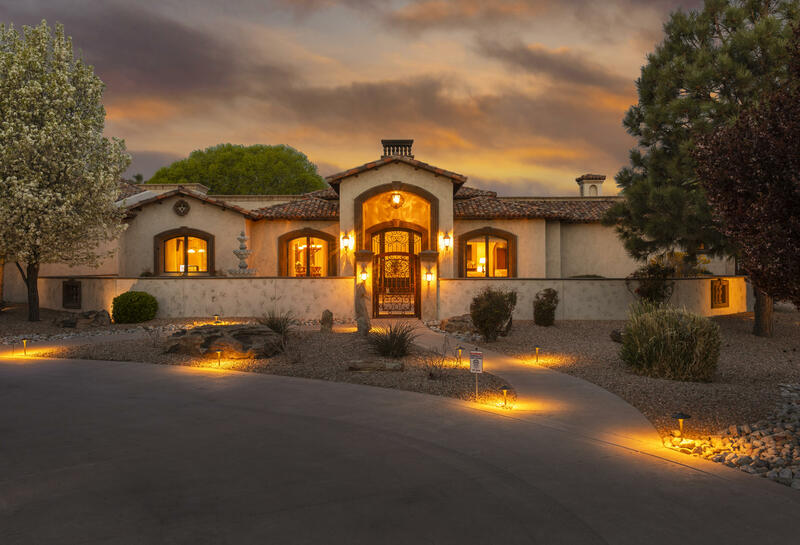 Step out to the yard that backs to the golf course for expansive views. The livingroom is large and open, perfect for entertaining. Enjoy the breathtaking views from the master bedroom with large, open windows overlooking the golf course. The master bath has been beautifully remodeled and leads to closet completed by california closets. Don't miss this special home! Welcome home to paradise bluffs! 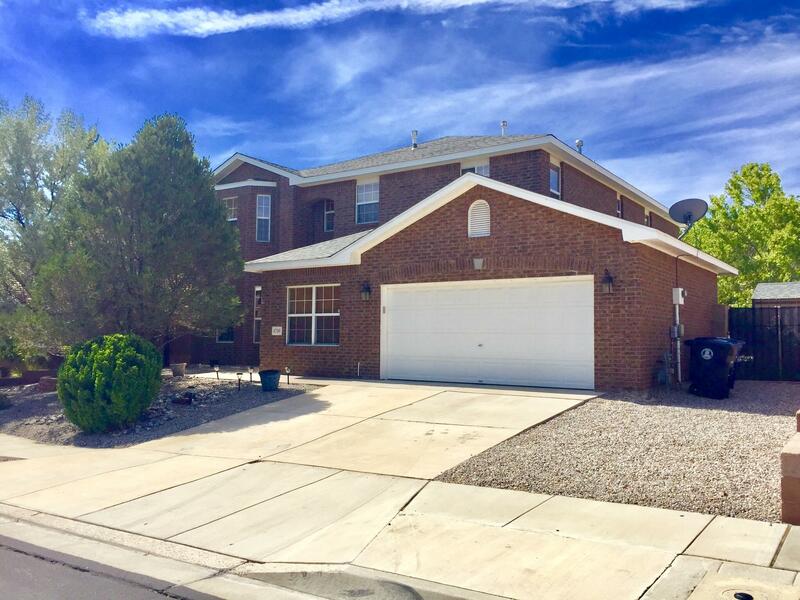 Spacious 5 bedroom fuller home with lots of updates! Spacious floor plan with multiple living areas. Soaring living room with chic concrete floors. True chef's kitchen with upgraded stainless steel appliances, granite and designer backsplash. Family room with cozy fireplace is perfect for gatherings. Out back you will find a verdant retreat - private yard with patio, outdoor kitchen and numerous fruit trees. Upstairs you will find 4 bedrooms, all with new carpet. Private master suite with private deck and huge closet. The master bath boasts soaking tub, separate shower and stunning vanities. All bathrooms have been updated as well. Convenient nw location just moments to schools, golf, main roads and shopping. Home is here! Graceful elegance of established neighborhood privacy great for fun & entertaining. Open floor plan. Brand new wood floors. 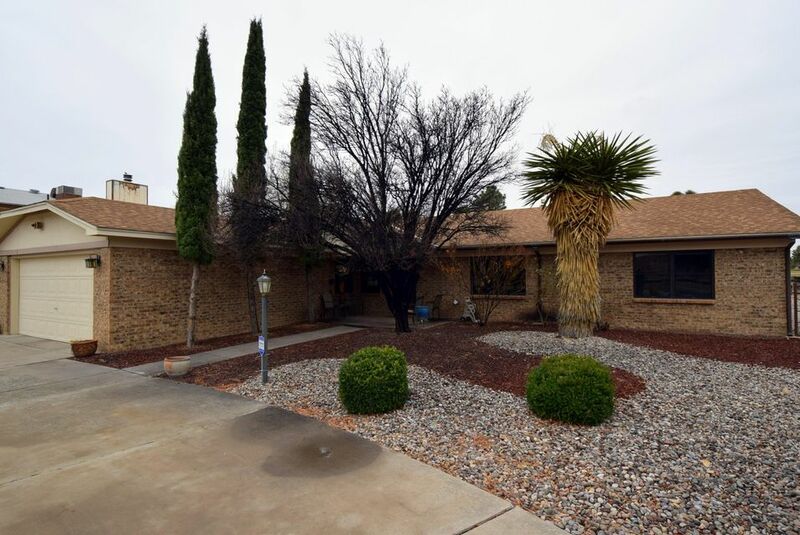 3 bedrooms with owners suite being large, walk in closets, remodeled bath, with granite shower walls, double sinks. 2 baths, lots of light the other bedrooms are good size as well. Cozy warm gas log fireplace with vaulted beam ceiling in great room with ceiling fans, builtin book selves. Country kitchen with induction stove, lots of refinished cabinets and counter space, tile floors, huge walk in pantry, nice stainless steal appliances and breakfast bar! Wet bar, pella windows, solar, as is hot tub, beautifully landscaped, coverd patio, two sheds, back yard access. On the golf course & more. Quality home-one of the best. 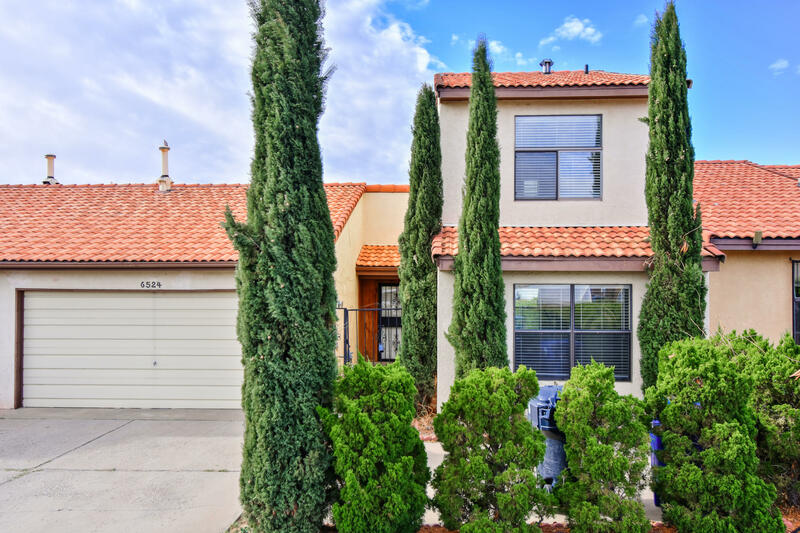 Great 3 bedroom one story home on cul de sac, walking distance to a great dog park and ladera golf course. Home features great updates including newer flooring in the bedrooms, mastercool cooler in 2017, tiled counter tops and sink in kitchen all poly plumbing has been replaced with pex. Call today for your private tour! Charming townhome located in the ladera heights community backed to the golf course! 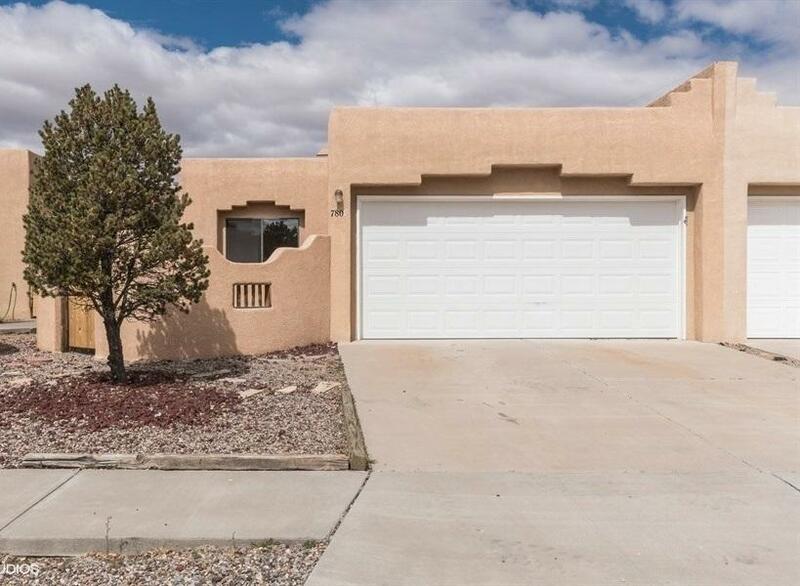 Home features 1,545sf with 3 bedrooms, 2 bathrooms and a 2 car garage! Great living area with tile flooring and a beautiful wood burning fireplace with natural stone accents. Kitchen with ample cabinet and cabinetry space, range, refrigerator and dishwasher included! 1st floor master and guest bath with shower/tub combo! Upstairs find 2 additional guest rooms! One with a golf course view and the other with city/mountain views! Outside enjoy the covered patio and the easy to care for yard! Super cute town home ready for move-in! New flooring and paint throughout. Nice floor plan with skylights and lots of natural light. Courtyard, low maintenance yard. 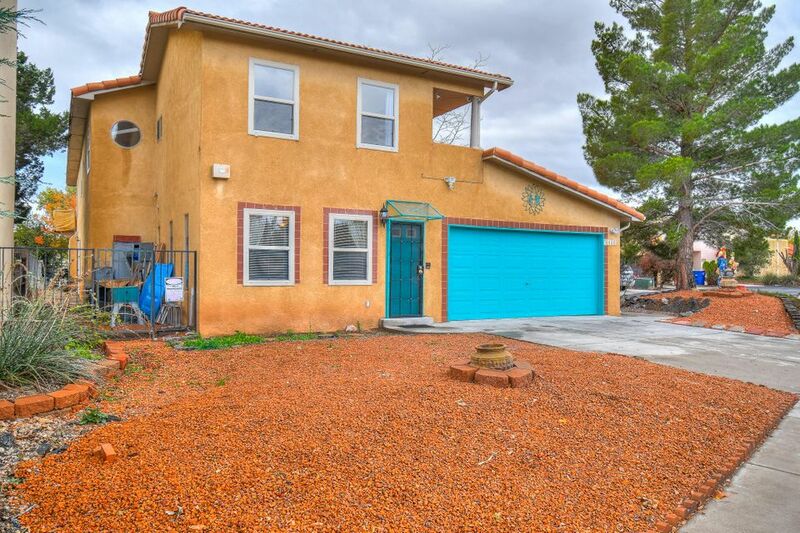 Great nw albuquerque location close to the petroglyphs and rinconada park. Ladera golf course is nearby as well. Come see this one today!